There is nothing like fresh vegetables from the garden in summer time. 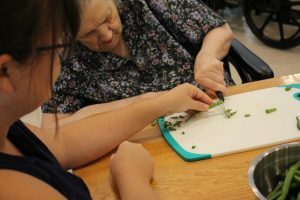 The Salem Home residents have been busy cleaning, pealing, cutting and eating fresh produce from the garden. There is the smell of cucumber in the air, the sound of beans snapping and tasting the sweetness of the tomatoes. 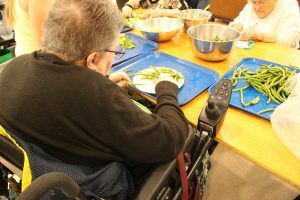 The residents have really enjoyed helping with the preparation of these vegetables. For most of them, this was a way of life in summer. 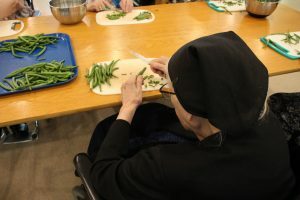 They planted, weeded, watered, and maintained their gardens and as a result, got to finally benefit from all their hard work with fresh vegetables. 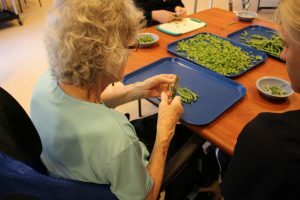 Having the residents help prepare the vegetables has brought back many memories and stories from their childhood. 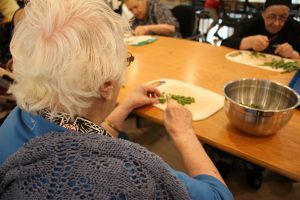 This activity is something that the residents look forward to during the week. 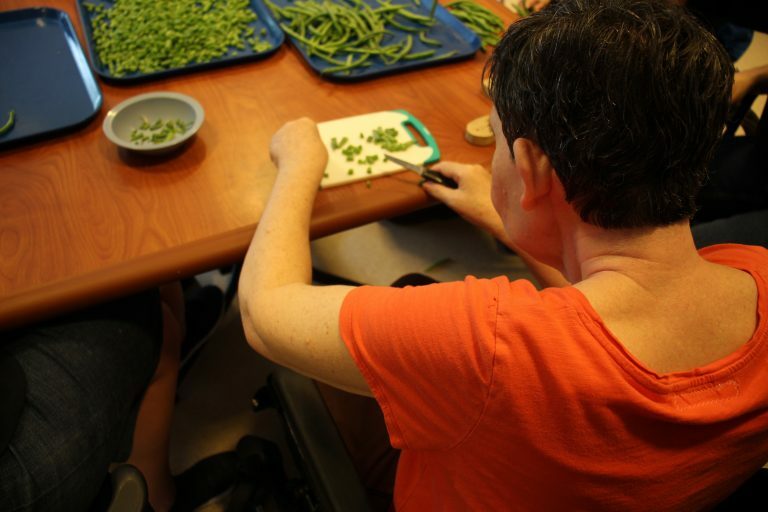 It has given them a sense of meaning and purpose, and sampling the vegetables is an added bonus.